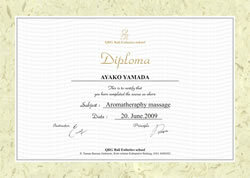 This course includes 4 traditional treatments originated from Indonesia and specifically from Bali. we are provide spa instructor course to improve your professional spa knowledge and skill to your career. It issues a diploma by the attendance item. As for the Indonesian government authorization diploma, the training for 3 months ( 420 hours ) becomes a causa sine qua non.